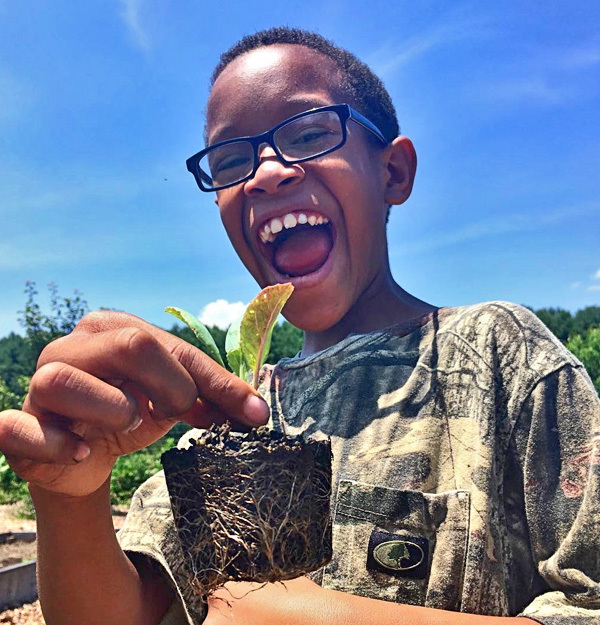 At Project GROWS, we know that kids who garden eat more veggies. Field trips to Project GROWS immerse students in a hands-on, experiential, outdoor learning environment where they can discover how and where vegetables are grown, make connections between the classroom and the farm, participate in age-appropriate farm tasks with their classmates, and explore healthy eating through tasting and cooking. 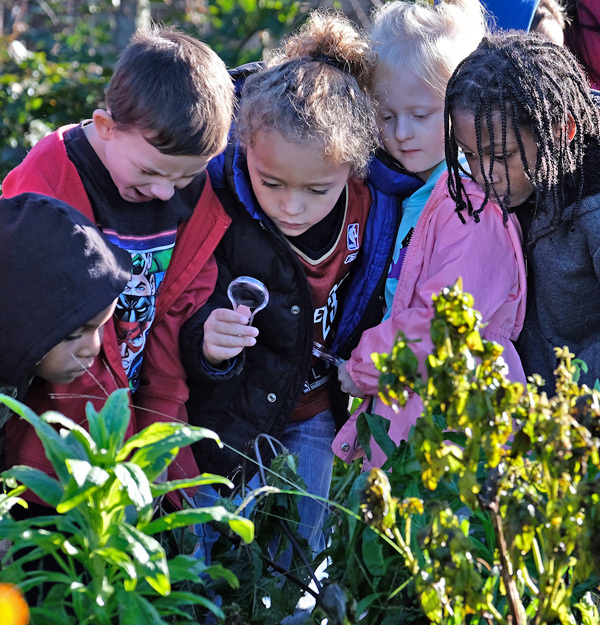 Field trips involve exploration of the education space, production beds, sensory garden, greenhouse, high tunnels, and pollinator garden. 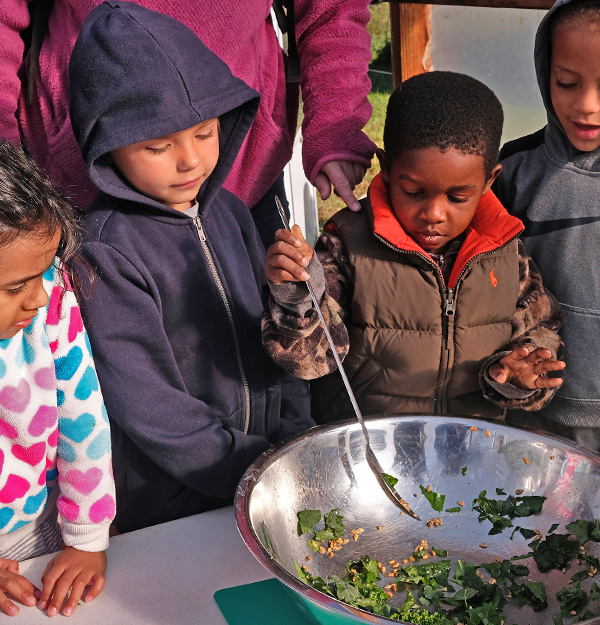 Students examine and evaluate the farm through the lens of the lesson topic and make relevant connections to their lives. Students participate in various farm activities such as seeding, transplanting, harvesting, and more! Students taste-test a variety of produce and analyze their differences and qualities, or take part in a collaborative cooking station using freshly harvested produce. Project GROWS welcomes students from preschool to 12th grade. Although our current lesson options focus on kindergarten through 4th grade standards, our education staff is excited to collaborate with teachers to create personalized lessons to support other grade levels and other classroom topics. 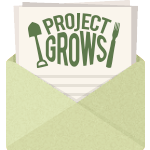 Learn more about Project GROWS Garden Lessons! To request a children’s field trip (or to schedule a middle or high school volunteer group that includes educational components) please submit a Field Trip Request Form at least one month prior to your requested trip date. A staff member will respond to schedule your trip within 5 business days. To learn more about volunteering, visit our Get Involved page. All field trips are free of charge. Field trips are offered April through October, Tuesday through Friday. We do our best to accommodate all requests for field trips on a rolling basis, so request your field trip today!